Going with two companies today since they are both small and I've only got a few ads for each of them. From what I can gather from the magazine ads, ActionSoft was a developer and publisher based in Illinois that was led by retired military personnel. 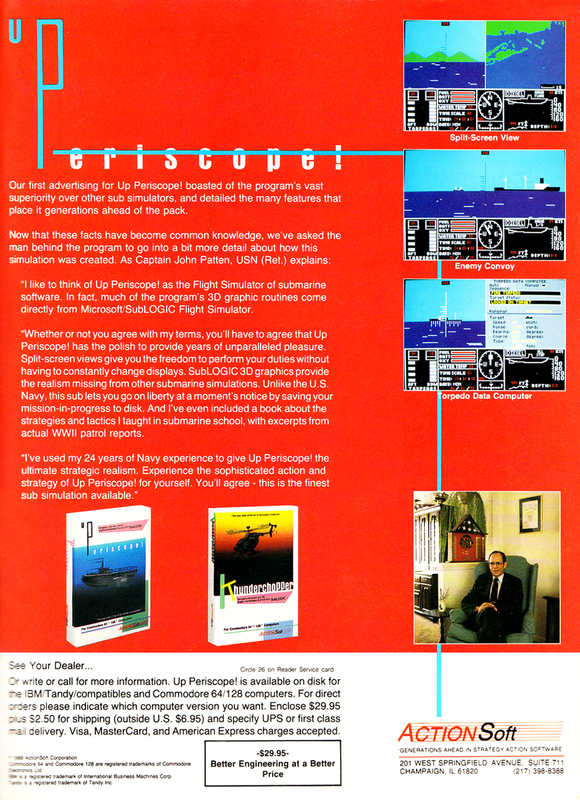 The company published its only two games in 1986, both simulations: Up Periscope! and ThunderChopper. Active USA is a company that released unofficial cartridges containing large compilations of simplistic games for 8-bit and 16-bit consoles. Based on the ads it appears that its games were not carried by retail stores and could only be purchased via mail order.